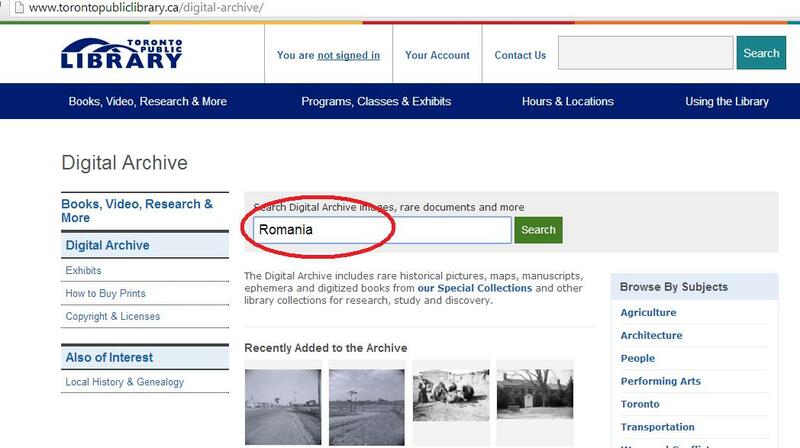 It takes only two little steps to uncover a couple of digital treasures of Romanian origin in the publicly available digital archive at the Toronto Public Library. They are free children books published in … 1896. Here is how to get them. 1. 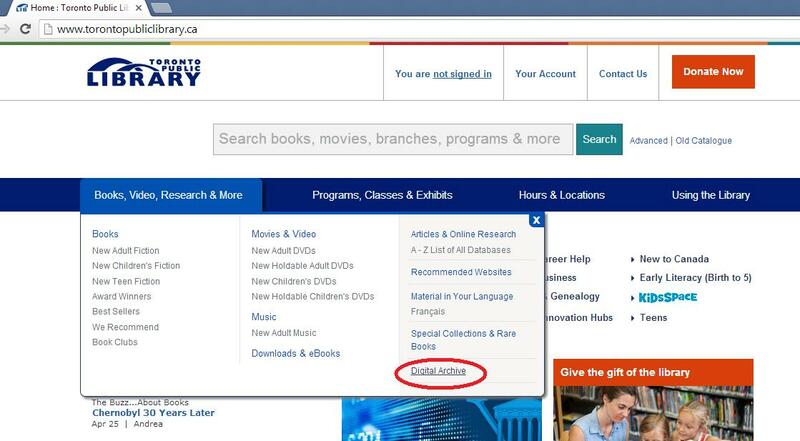 Go to http://www.tpl.ca and follow the Digital Archive link. Both 1896 books are collections of children short stories. Each includes a number of Romanian folk tales. Get directly to the books and download them for free (they are public domain) by following the links below. Legends from River and Mountain – by Carmen Sylva (H.M. the Queen of Roumania) – translated from German – London, 1896. Carmen Sylva was the nome de plume of Elisabeth (1843-1916), queen consort of the first king of Romania. You can read her life up to age 45 (1888) in digital format, part of another fantastic archive, The Robarts Library at the University of Toronto. Romanian-language poems by Carmen Sylva are available there, too. Turkish fairy tales and folk tales – by Kúnos, Ignácz, 1862-1945 – At his time, this Hungarian writer he was one of the most recognised scholars of the Turkish folk literature and Turkish dialectology. This volume includes Romanian folk tales, too. 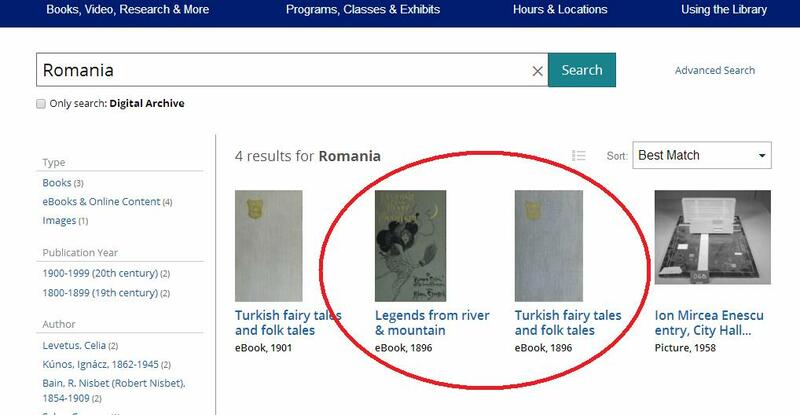 Posted in English blog and tagged as 1896, archive, books, Carmen Sylva, Carol, children, digital, Elisabeth, featured, folk, king, Kunos Ignacz, queen, Robarts, Romania, Romanian, stories, Toronto Public Library, University of Toronto.